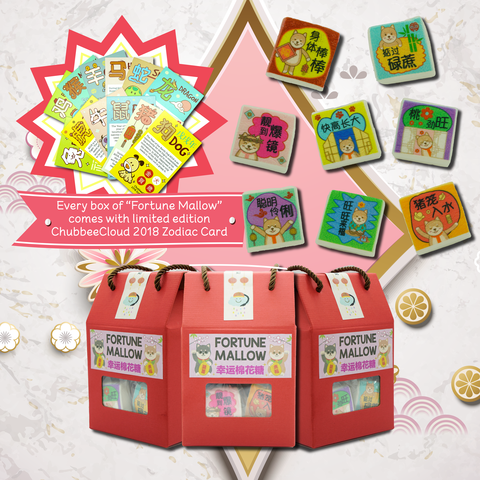 Gifts You Can Give During Chinese New Year Visits! The act of blessing giving is critical in Chinese culture. It is important to get something genuine and wrap it perfectly. The Chinese New Year is the ideal time to get your friends and family something exceptional. We present to you the most conventional Chinese New Year gifts. Never give a monetary amount that includes a four as the pronunciation of 四 (four) is very close to 死 (death). Pears are taboo. This is because the Chinese word for 'pears' (梨 lí /lee/) sounds the same as the word for leaving or 'parting' (离 lí). An ubiquitous symbol of the Chinese New year, presenting a basket of fruits will be a bonus with your host during your visits. Giving a box or at least 2 oranges or apples is highly recommended as it symbolizes fortune and security. If you want the best basket, it is best to choose the fruits yourself and tie a red ribbon onto the basket to give a final touch! Everyone loves marshmallows, but it would be even more memorable when there's cute graphics on it! 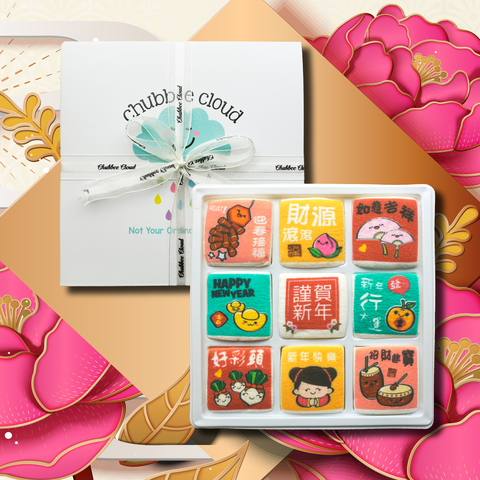 Send these Chinese New Year marshmallows to wish your business partners, family and friends Gong Xi Fa Cai and a prosperous year ahead! Who doesn’t love sweets? Pick up boxes of traditional Chinese sweets like Non Gou (sticky cake) or some Pineapple tart when you are making your way home to your loved ones, or even if you’re off to someone’s house for dinner. You can even bake something yourself to share or go around. 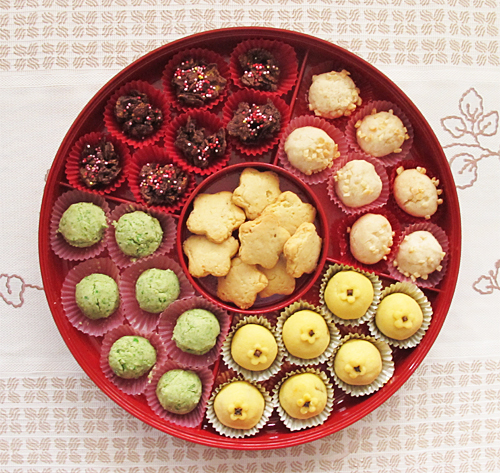 If by any chance that your hosts are Chinese, at that point they may value something that can be kept for a few days as they'll have a ton of guests throughout the following weeks and they'll be able to share the nice treats with visitors. By any chance that your hosts drink alcohol, try to discover what they like. They'll welcome a decent liquor of whatever it is. It can never turn out badly with tea when it come to a Chinese celebration! A tin of tea is the most ideal approach, truly. Splurge on a fancy box of oolong or green tea from a respectable teashop – they'll give you the best quality tea at the best cost. Loose tea is better than bagged tea for gifts (and please, no Lipton Yellow tea bags). 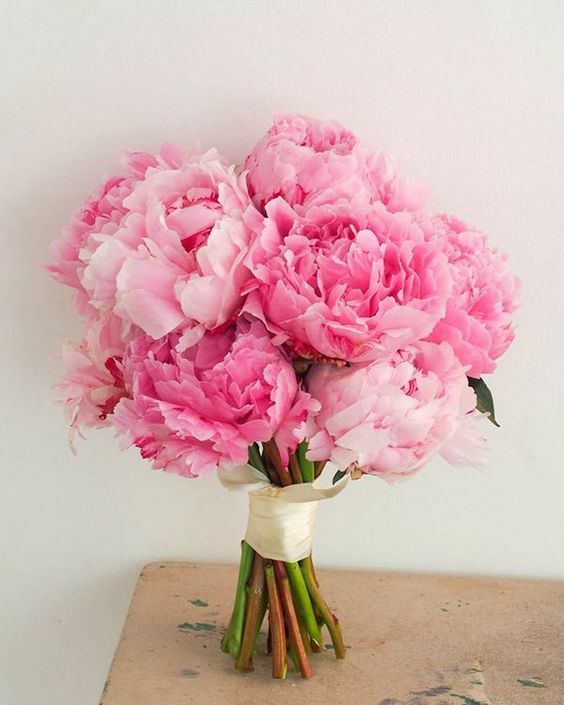 Flowers are great gifts as a simple etiquette during Chinese New Year visits as well! Cut flowers are generally displays for funerals, so don't give them on Chinese New Year! This is particularly so for Yellow Chrysanthemums and any white flowers, which represents death. White is an unfortunate (funeral) color in Chinese culture, so white blossoms ought to be evaded. However, flowers such as small orange or kumquat trees are extremely conventional as are plum blossoms and different bushes like money plants or jade plants.. Fortunate bamboo is constantly decent and orchids and peonies are additionally popular flowers in the Chinese culture.